!AH HA! 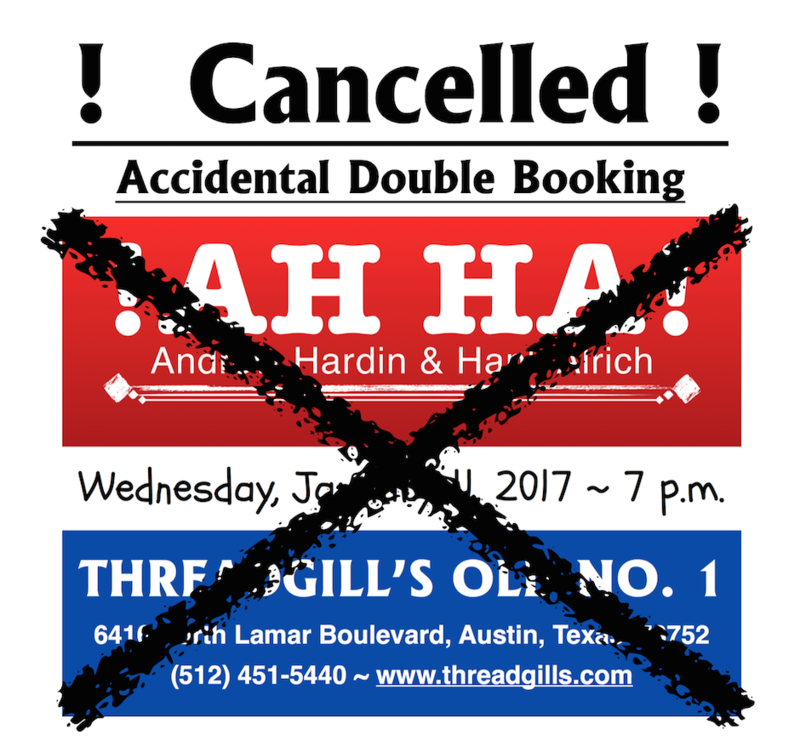 Andrew Hardin & Hank Alrich bring their songwriting locomotive to the original Threadgill’s, Old No. 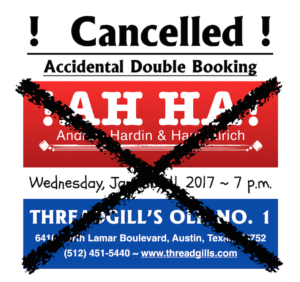 1 in North Austin, Texas. Their opening set will include all the songs from their eponymous debut album, to be unleashed shortly on an unsuspecting world. !AH HA! performances are rare and will remain so until after the release of that album. Catch them when and where you can!